In this work, we present a new variant of the balancing domain decomposition by constraints preconditioner that is robust for multi-material problems. We start with a well-balanced subdomain partition, and based on an aggregation of elements according to their physical coefficients, we end up with a finer physics-based (PB) subdomain partition. Next, we define corners, edges, and faces for this PB partition, and select some of them to enforce subdomain continuity (primal faces/edges/corners). When the physical coefficient in each PB subdomain is constant and the set of selected primal faces/edges/corners satisfy a mild condition on the existence of acceptable paths, we can show both theoretically and numerically that the condition number does not depend on the contrast of the coefficient across subdomains. An extensive set of numerical experiments for 2D and 3D for the Poisson and linear elasticity problems is provided to support our findings. In particular, we show robustness and weak scalability of the new preconditioner variant up to 8232 cores when applied to 3D multi-material problems with the contrast of the physical coefficient up to \(10^8\) and more than half a billion degrees of freedom. For the scalability analysis, we have exploited a highly scalable advanced inter-level overlapped implementation of the preconditioner that deals very efficiently with the coarse problem computation. The proposed preconditioner is compared against a state-of-the-art implementation of an adaptive BDDC method in PETSc for thermal and mechanical multi-material problems. This work has partially been funded by the European Research Council under the FP7 Program Ideas through the Starting Grant No. 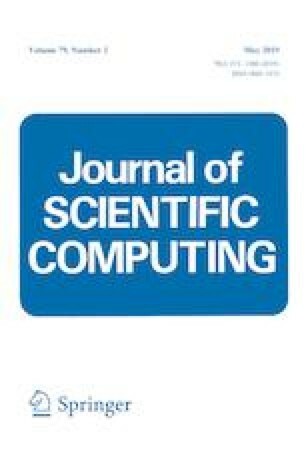 258443—COMFUS: Computational Methods for Fusion Technology and the FP7 NUMEXAS project under Grant Agreement 611636. Financial support from the EC—International Cooperation in Aeronautics with China (Horizon 2020) under the project: Efficient Manufacturing for Aerospace Components USing Additive Manufacturing, Net Shape HIP and Investment Casting (EMUSIC) and the H2020-FoF-2015 under the project: Computer Aided Technologies for Additive Manufacturing (CAxMan) are also acknowledged. S. Badia gratefully acknowledges the support received from the Catalan Government through the ICREA Acadèmia Research Program. H. Nguyen thanks Vietnam National Foundation for Science and Technology Development (NAFOSTED) for the financial support through Grant No. 101.99-2017.13. Finally, the authors thankfully acknowledge the computer resources at Marenostrum III and IV and the technical support provided by BSC under the RES (Spanish Supercomputing Network), and the North-German Supercomputing Alliance (HLRN) for providing HPC resources that have contributed to the research results reported in this paper.